Today I’m here with another Greenberry Organic’s product. This time they’ve launched a detox cleanser which is meant exclusively for combination to oily skin type. As you guys know, I was introduced to this brand via Instagram & eventually some of their products worked really well for me. Till date, the two products that remain my all time favourite got to be their Mud Ash 3 in 1 Face Care & this cleanser which has paved its way within my heart really soon! 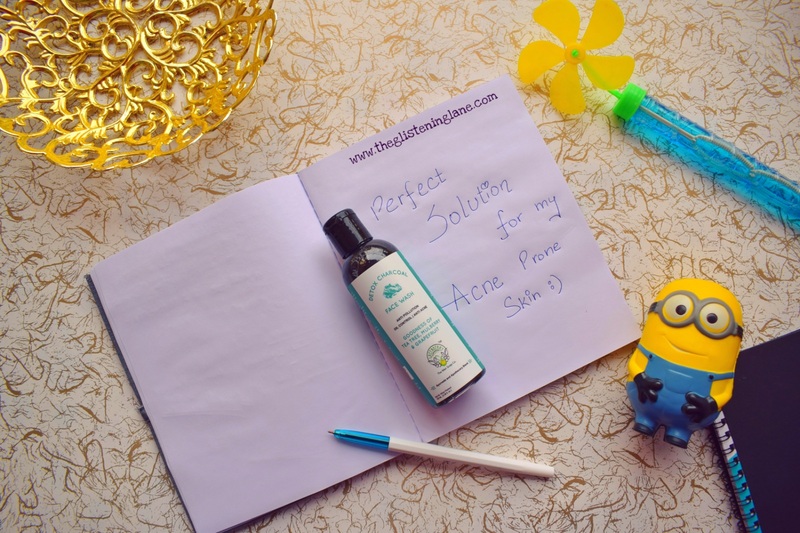 In case you have acne prone skin or constant excess sebum is your trouble point then remain glued because this product is definitely meant for you! Let’s begin. Description: Pollution, debris and seasonal changes, it’s a wonder skin can breathe! Greenberry Organic’s Detox Charcoal Face Wash works double time (2X) to detox skin. 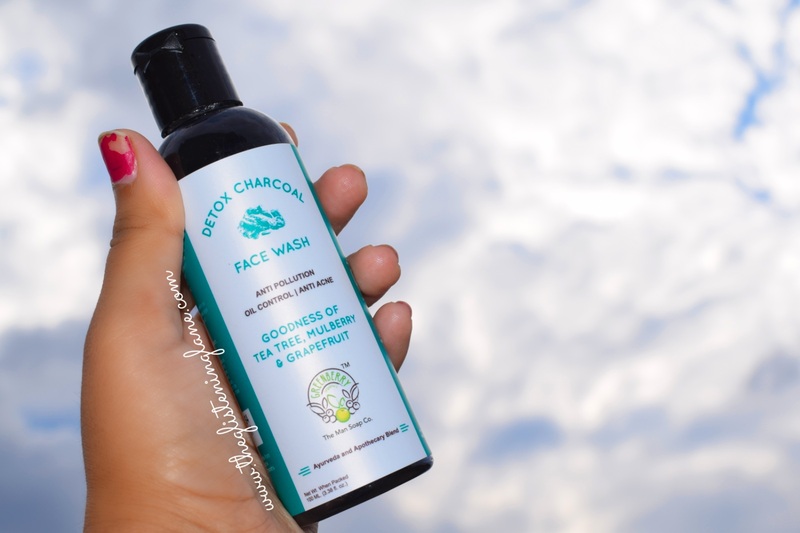 First, naturally purifying Activated Bamboo Charcoal helps absorb excess oil and impurities (including stale sebum) without over-drying the skin. Added oils of Tea Tree and Grapefruit helps control acne from deep within and also provides a smooth anti-bacterial cover to the skin. Mulberry extracts reduce dark spots and provide brightening effect over continuous usage. 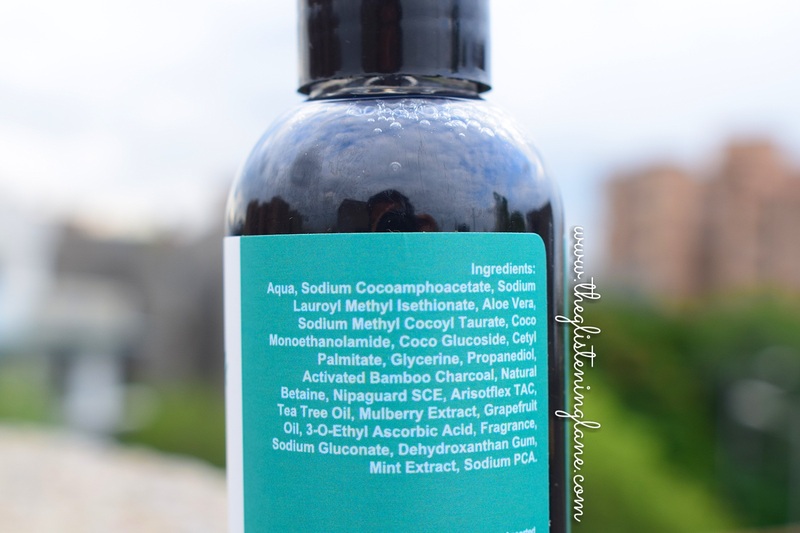 Ingredients: Aqua, Sodium Cocoamphoacetate, Sodium Lauroyl Methyl Isethionate, Aloe Vera, Sodium Methyl Cocoyl Taurate, Coco Monoethanolamide, Coco Glucoside, Cetyl Palmitate, Glycerine, Propanediol, Activated Bamboo Charcoal, Natural Betaine, Nipaguard SCE, Arisotflex TAC, Tea Tree Oil, Mulberry Extract, Grapefruit Oil, 3-O-Ethyl Ascorbic Acid, Fragrance, Sodium Gluconate, Dehydroxanthan Gum, Mint Extract, Sodium PCA. How to Apply: Take the product in the palm as desired and spread over damp face, massage for at least 30 to 40 seconds until fine lather appears, then wash off with water. Note: The product contains 100% Natural ingredients. May cause slight irritation to some. Patch test recommended. Natural products may have seasonal colour and property changes. Store in cool dry place. Keep out of the reach of children. Not to be used internally. If contacted with eyes, rinse with cool water immediately and seek medical advice if necessary. Buy Online: Greenberry Organic's products are now available on Flipkart as well; click HERE to order from their directly. In case you prefer Amazon, then HERE is your link. (Available at discounted rates on both portals). Packaging: In case you guys don’t know, I’m really fond of good packaging. Not just me, my father loves to hoard fancy bottles and jars as well & he re-uses them for storing things while travelling. Now plastic packaging is for sure travel friendly but there’s a clear cut distinction between good plastic bottles/jars & the not-so-upgraded ones as well. 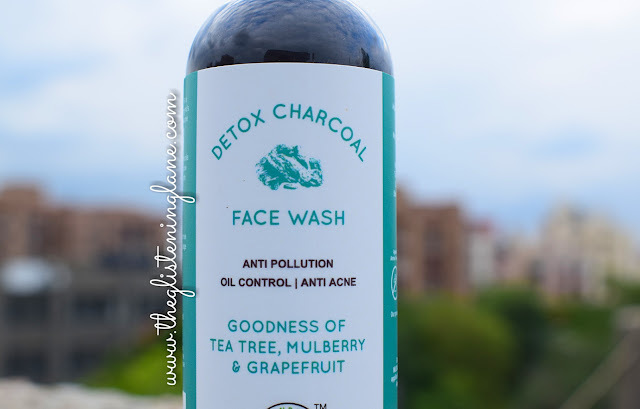 Greenberry Organic’s Detox Charcoal Face Wash comes in a really lightweight & good quality plastic which is transparent so you can clearly see how much of the product has been used & what quantity is still inside. Also, it comes with a convenience of flip top plastic cap. The packaging is simple yet it looks amazing kept on bathroom slabs. 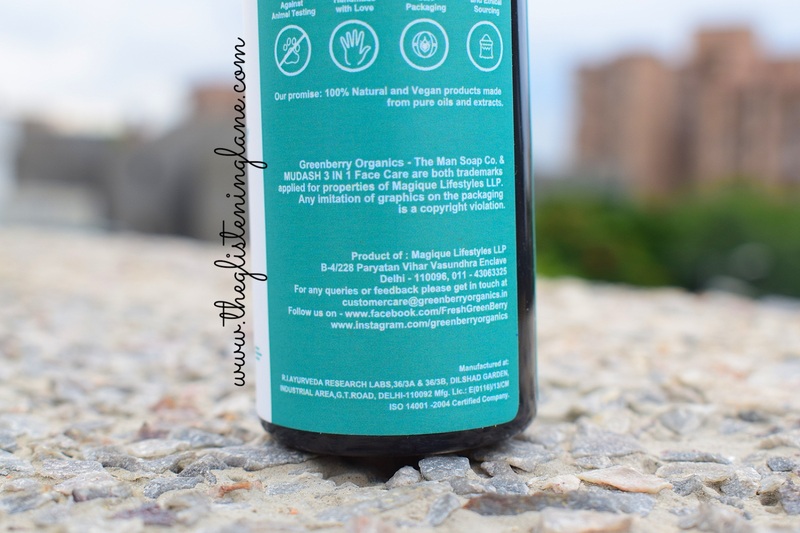 Recently, Greenberry Organic’s has revamped their packaging and incorporated colour coded labelling. Let me begin narrating with my first trial itself. I took out a really small amount of the cleanser, say a dollop and worked it onto my skin. It quickly turned into foam & gave out quite a refreshing feel. I was unsure about cooling sensation until I read the ingredient list which says it contains Mint Extract & thus I prefer to use it especially within the morning for the sleepy me! :D There is some fragrance as well, something which can be described as having undertones of herbs. Once the foam is generated, I take few seconds to circulate the content onto my face and neck & massage it in circular motions. Next up, you gotta rinse it off for a glowing skin. 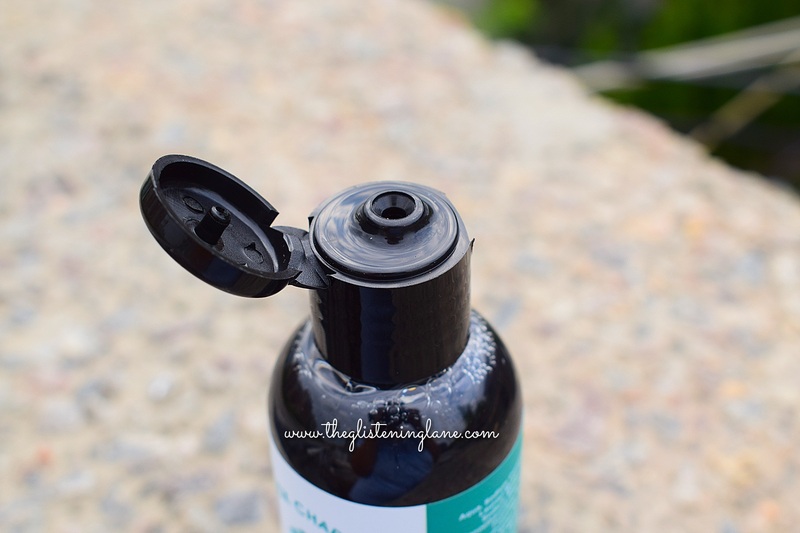 Now while I was splashing water onto my face, I could feel how it was sustaining natural moisture of the skin and yet taking off any excess sebum. Once I pat dried my face with towel, I could notice it brightening up my skin instantly & there was no makeup (non-waterproof) residue left. The traces of dirt & facial sebum were also resolved but thankfully without endowing dryness or stretchy feel. As to why I like this cleanser, well let’s say I love how it caters exactly what it claims & that too you can literally see it working within the first use itself. 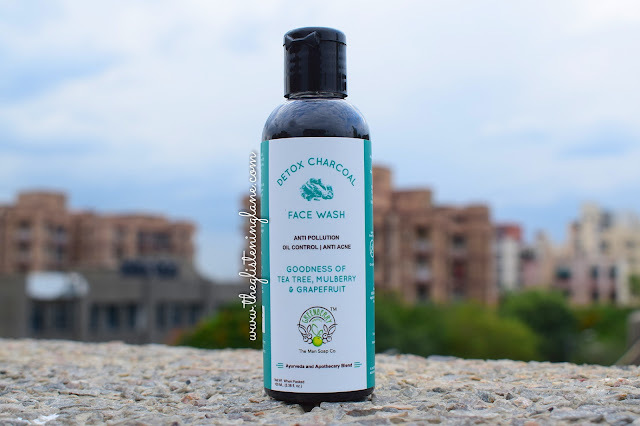 The activated bamboo charcoal helps in taking away impurities embedded within the skin that emerge due to constant interaction with pollution, dust & dirt. Also, tea tree helps to keep acne at bay who's main reason for breeding is bacteria. Whereas mulberry give your dull skin some brightening. The consistency of the cleanser it pretty decent neither too runny nor too thick and it’s somewhat black in colour, of course, because of charcoal. 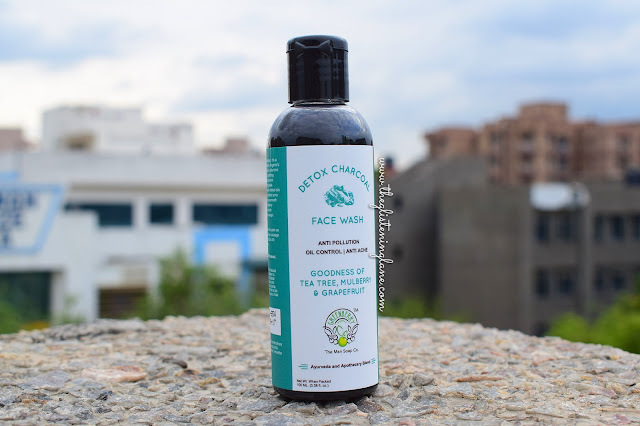 Ideally, people from combination to oily skin type would really love this and add-on to it is the anti-bacterial properties of thus face wash which is a boon to the acne prone skin (like mine). In short, it is a must have to restore your skin’s natural complexion and fight off impurities present within the city streets! ❤Convenience of flip-top open lid. ❤Activated Bamboo Charcoal gets rid of skin’s impurities. ❤Tea Tree helps in getting rid of acne & keeping them away. ❤Keeps excess sebum clear off the face! 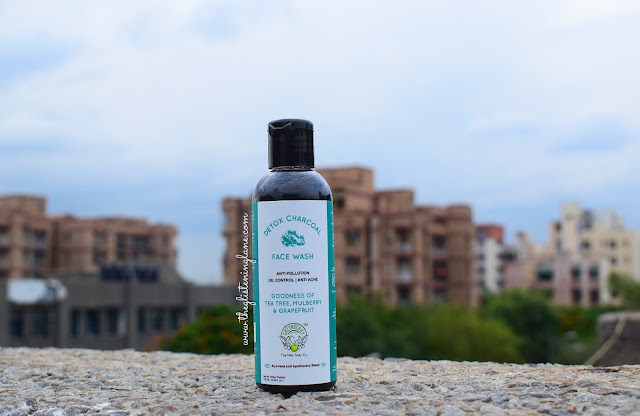 As I’ve mentioned before, in case you are have combination to oily skin and acne, or skin dullness is your troubled sphere, then definitely pick this one for yourself!